Outdoor speakers seem to come in two styles—the ones that look like ordinary speakers and the ones that look like rocks. Neither will enhance your garden décor, unless you’ve decorated your backyard to look like Stonehenge. Here are some options that will let you enjoy your tunes in style while relaxing on the patio, in the garden or by the pool. Wired speakers don't require power at the speaker, but you will have to run outdoor-rated speaker wire from your sound source. These are a good choice for permanent installation. This is one speaker too pretty to hide! 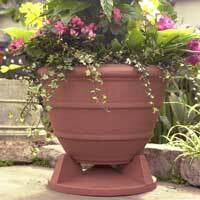 This planter's two-way speaker delivers 75 watts of music while holding your favorite live shrub. No one will guess you’re serenading the party with sounds from a terra cotta pot. Retail price: $289 per speaker. Check for the latest price at Amazon.com . 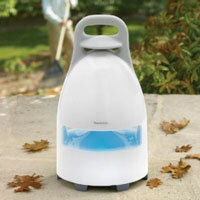 This has to be the cleverest idea for an outdoor speaker on the market today. If you live in a warm part of the country and your landscaping has a tropical theme, you probably have a palm tree or two. What could blend in better than speakers that masquerade as coconuts? Rockustics Coconutz measure 12 ¼” x 7” and have 5 ¼ inch speakers with 75 Watts of power. Retail price: $625 per pair of speakers. Check for the latest price at Rockustics.com. If your trendy industrial loft is modern to the max, these streamlined speakers will rock your terrace. The 17.5 inch high-impact ABS housing conceals dual 4-inch cone drivers delivering 80-watts per speaker for 360-degree sound. Retail price: $95 per pair of speakers. Check for the latest price at Amazon.com . Want your speakers to go undercover? 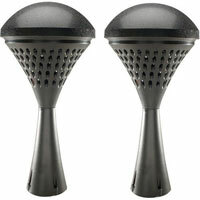 These TIC Mini Speakers are about eight inches square, so they can easily be hidden among luxurious greenery. 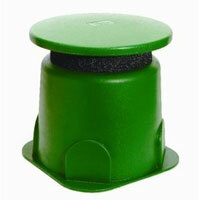 The impact resistant ABS cabinet can hold up a potted plant while putting out up to 80 watts of sound. Retail price: $115 per pair of speakers. Check for the latest price at Amazon.com . Wireless speakers require power, either a battery or power outlet. They're portable and meant to be temporary sources of music. Make a big splash at your next pool party with this cool-looking outdoor wireless speaker, which boats a 150-yard range. All controls are right there on the speaker, so you can play DJ from your chaise lounge. Runs on 8 D-size batteries or the included power adapter. Retail price: $150 per speaker. Check for the latest price at Amazon.com . 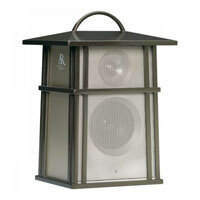 If you love Early American or Mission style in your home, carry that theme outdoors with this wireless outdoor speaker. 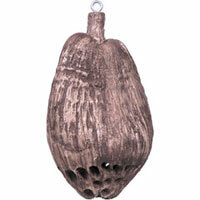 Hang this speaker from a rustic lamppost and blast your favorite tunes up to 150 feet. Runs on 6 AAA batteries or the included power adapter. Retail price: $100 per speaker. Check for the latest price at Amazon.com .